Recent news from Syria has calmed the hysteria among antiquarians and archaeologists over the preservation of one of the most significant of all ancient cities: Palmyra. Unfortunately, such quiet makes it easier for citizens of rich nations like the U.S. to insist that the conflict in the Middle East is “a local problem” that should be solved by those in the regions besieged by Islamic terrorists like ISIS. Nothing could be farther from the truth, of course. Western nations largely created the current civil conflicts in Iraq, Turkey, Syria, Lebanon, and Yemen. Now that some of the most precious ancient heritage sites are threatened it is even more urgent that the richest countries move to stop the humanitarian and cultural disaster that is festering in areas that still contain artifacts from the beginnings of civilization as we know it. 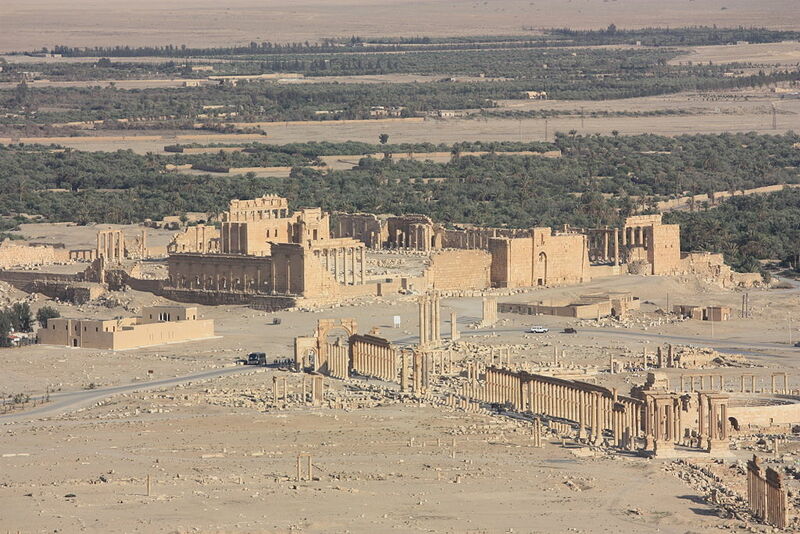 Palmyra’s ruins have inspired humans for almost a thousand years; we should keep them safe for another thousand. Steven Schwarzman has his name all over the New York Public Library–five times in fact. He provided $100 million for a “facelift” and gut renovation of the Fifth Avenue building and was rewarded with naming rights for a building that used to be named for its real benefactors–Astor, Tilden and Lenox. He nearly destroyed one of America’s most treasured landmarks. Now the multi-billionaire has his sights on another Carrere and Hastings masterpiece, the Bicentennial Group at Yale (his alma mater and mine). One of the most beloved buildings on campus, Freshman Commons has needed renovation for some time, and Woolsey Hall could use a fresh coat of paint inside. Bravo for Yale in seeking donations for this work. Unfortunately, Mr. Schwarzman doesn’t want to lend money for renovations. He wants to see “new” architecture blotting out the old. And you can be sure that if his pet architect, Norman Foster, gets his hands on this Yale landmark, it won’t look much like it did when designed in 1901. As a glitzy new performing arts center (not a bad idea in principle) the buildings will have high tech glass boxes inside Beaux Arts interiors, a clash that nobody will notice until the time comes to restore them in 50 years. At that point they will be returned to their 1901 glory, at enormous expense. Yale has succumbed to cultural blackmail under the thumb of oligarchs like Schwarzman before–as in its recently completed Foster School of Organization and Management. We expect such things of a business school, but hardly of one of the country’s finest schools for the performing arts. When it restored the Lou Kahn Art Gallery and the Paul Rudolph architecture building, Yale was scrupulous in preserving great architecture. Let us hope it follows this precedent with an equally great building before 2020.